If you haven’t got consistent, quality traffic, your digital marketing will suffocate. 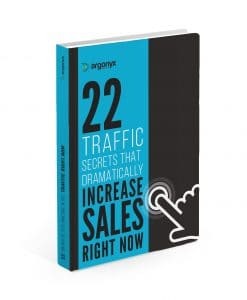 This eBook gives you our 22 go-to methods for creating quick traffic on a budget that we’ve used reliably for a decade and half. PS. In a couple of days we’ll email you a bonus strategy on how to leverage media advertising such as email newsletters, radio and TV for a fraction of the price. 22 unique strategies almost any business can utilise right away! Reveal marketing strategies most agencies won’t tell you – it’s not all online either! Tired of being burnt by agencies promising the world and delivering almost nothing? We've got the runs on the board and here are a few clients who attest to how we've helped them... on video!